The magestic Kearsney Manor, built in the late 1800’s by Sir Liege Hulett is situated on an original sugar estate near Stanger in the KwaDukuza district. This magnificent old colonial estate is recognised as a Heritage Site and once housed the original Kearsney College. The estate has recently been renovated and is situated 80km north of Durban and only 40 minutes’ drive from King Shaka International Airport on the Natal North Coast. 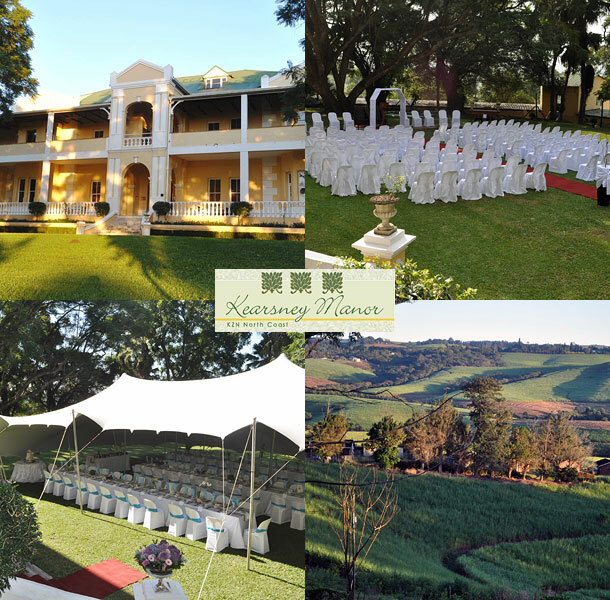 Historic surrounds, beautiful views and the tranquility of quiet country life, makes Kearsney Manor the perfect choice for your wedding. 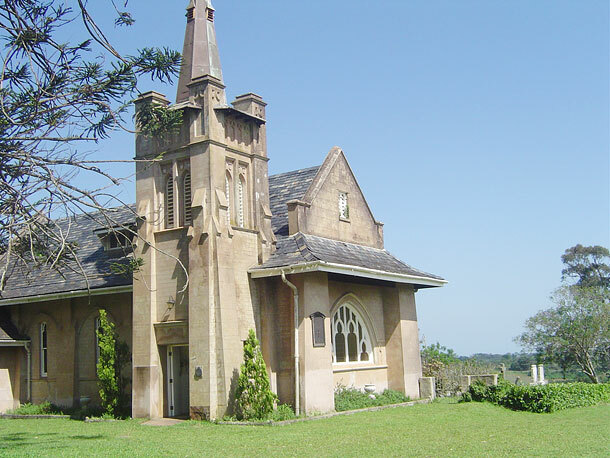 Our beautiful old stone chapel is over 100 years old and boasts tremendous character and charm. The chapel comfortably seats 100 – 120 people. For larger weddings, the ceremony can be held in our neatly manicured gardens. A marquee is hired for the reception of weddings with more than 60 guests. Kearsney Manor does not charge a venue hire fee. Our wedding packages are based on the menu selected on a price per person basis. We have five different menu options to choose from and all meals are prepared by our in-house chefs. The Manor House has accommodation for your wedding guests in 18 beautiful suites. To book this gorgeous venue visit Kearsney Manor.